This page contains affiliate links. I am an affiliate for Blick Art Materials and receive compensation for purchases made through my site. 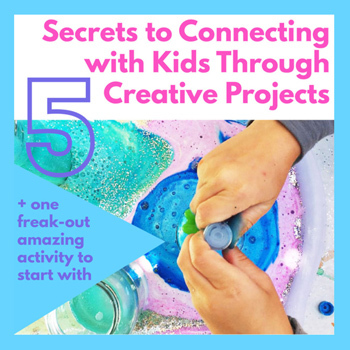 One of the most frequent concerns I hear from families is that you just don’t have room in your budget to invest in loads of project supplies. And when you do choose to invest some money in materials you want them to last a long time, work for a variety of project types, and be affordable. The absolute worst thing that can happen is venturing to the local craft store, somehow finding yourself spending lots more money than expected on creative supplies and then having those supplies used up on one.single.project. Been there, done that. It’s painful. I want to save your wallet from this experience so I have put together a kit of our family’s go-to project supplies. 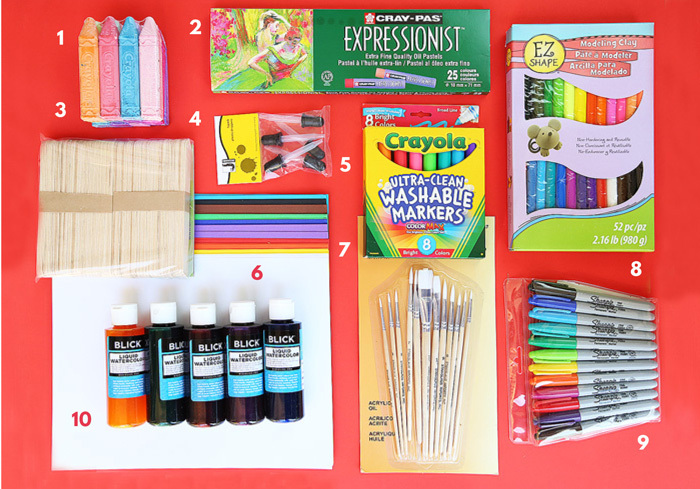 These are supplies I love to have on hand for a wide variety of projects, supplies that are good quality, and most of all supplies that are enticing for kids! 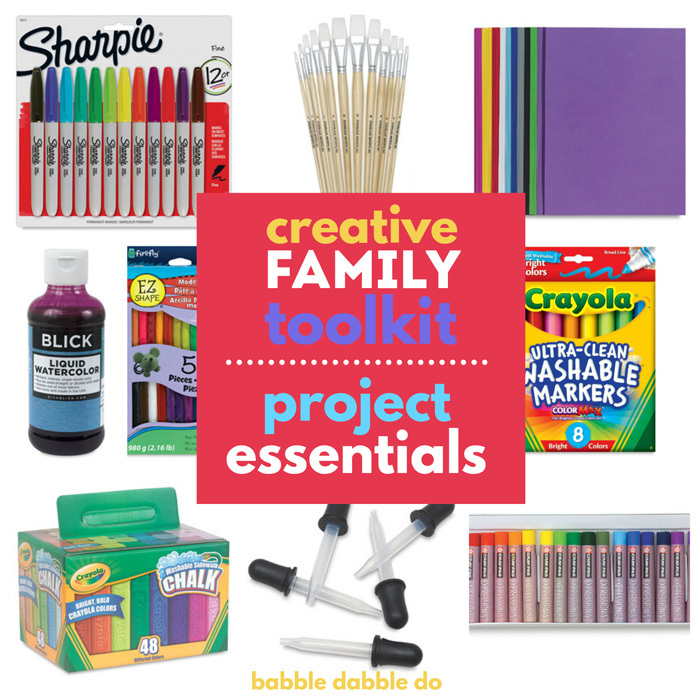 This Toolkit for families is available on Blick Art Materials. All you have to do is click the GET THE KIT button below, add all items to your cart, hit purchase and BAM you are set! No thinking, no worrying, and you will have a stockpile of awesome project supplies you can use at a moment’s notice. And be sure to keep the PROJECT IDEAS list below it handy for ideas on what to do with these supplies! And a BIG BONUS….if you live in the continental US and purchase ALL the items on the list you will get FREE SHIPPING.